How do you stop unwanted thoughts? How do you get rid of painful, unhelpful thoughts? Changing unhelpful thoughts is an important part of the process of recovery. These techniques are commonly used in cognitive behavioral therapy, a proven, effective, treatment for emotional problems. Thought stopping is one of the common ways of attempting to prevent the impact of recurring negative, unhelpful thoughts. In a previous post, I wrote about what thought stopping is, when you might want to use it and some of the problems you might encounter. Now let’s look at some specific, related methods you might use to stop those unwanted, unhelpful thoughts. Different theoretical orientations and the various mental health specialties may use different names for these techniques, but the ideas are essentially the same. Distracting yourself from negative thinking. As a short-term solution, thought distracting, can interrupt the train of unhelpful thoughts (Wegner et al., 1987). Be careful to not to look all around your environment at a lot of things which might later become cues for the unwanted thought. Use a transitional object that has helpful, positive associations. Religious symbols, a piece of jewelry that brings back positive memories, inspirational quotes can all be helpful in interrupting the current negative thought. Thought substitution – think about something else. Shifting your thinking to something more helpful has been shown to result in forgetting the thought you were trying to stop. One approach to grief work is to shift your thinking from the pain of the loss to the happy memories that you have of the person who is no longer in your life. When dieting, rather than trying to not think about food, try to think about the improved health towards which you are working. Think about how much money you’re saving by not buying cigarettes, not about your efforts to stop smoking. Think about a hobby or project you want to work on. When you’re busy thinking about redecorating a room or fixing your car, there’s less mental space to ruminate about unhelpful thoughts. If you’ve ever experienced flow, you have been so engrossed in an activity that you lost track of time; you may have noticed that thoughts of problems, addictions, and worries disappeared. Moving towards positive, helpful thoughts is much more effective than trying to sit and not think unhelpful thoughts. Mindfulness and meditation can be helpful in reducing the tension you would feel while wrestling with unhelpful thoughts. Physical exercise can also be helpful. The human brain doesn’t like to do the slow, tiring work involved in deep thinking. As you begin to walk faster, your brain is more likely to drop the unhelpful thoughts to stay focused on your exercise routine. Efforts to avoid negative feelings by suppressing them don’t work. Neither do efforts to solve your emotional pains by focusing on them, ruminating over them, constantly asking yourself why. Trying to avoid sadness by not feeling can render you numb and unable to feel happiness. Come to recognize that feelings you don’t like are likely to come and go, but they do provide you with information. Feeling lonely can motivate you to seek out other human companionship. Learn to surf the waves of emotion in your mind rather than insisting that you shouldn’t be feeling what you’re feeling. This approach is sometimes called monitoring your thoughts and feelings. You simply note that the thought has come, and then you watch it go. Not wrestling with your feelings allows you to escape their grasp. Cognitive restructuring can help you change unhelpful thoughts. Cognitive restructuring often begins with keeping a thought record or journal. The goal is to learn to recognize your own mental processes. Not every thought you have requires an action. Just because you think it, doesn’t make it so. Rather than getting carried away by unhelpful thoughts, learn to evaluate your thinking. Practice increasing your helpful thoughts and becoming more optimistic. Practice reframing your thoughts by setting positive goals you wish to approach rather than giving unhelpful thoughts more prominence by focusing on the things to be avoided. Many negative, unhelpful thoughts are based on faulty assumptions. You walk into the room, and people start laughing, it’s easy to think they’re laughing at you. Learn to argue with these unhelpful thoughts. Maybe someone just told a joke, maybe they’re all having a good time. Remember, you don’t have to believe everything you think. If you have a magic, magnifying mind probably you have had many experiences of thinking that other people’s behavior has something to do with you. If they look at you, did you think they were judging you? Check these thoughts out with someone you can trust. There’s a good chance they looked at you because you were there. Evaluating the evidence for the thoughts you have. People who are depressed or high in anxiety, frequently have a lot of negative, unhelpful thoughts. You get a bad grade on the test, and you may have told yourself you’re stupid or a failure. If you look carefully at the evidence, you may find that your scores on tests are about the same as other students in your class, possibly even better. Getting a “B” on the test is not the same thing as failing. Think you’re extremely fat? Sit for a while outside the shopping mall, preferably with a reliable friend, and keep track of how many people entering the mall appear to weigh more than you do. If you tell yourself the truth, you may find out you’re about average. Certainly, you may have room for improvement, but calling yourself names and judging yourself is unhelpful. If you want to motivate yourself to exercise and get into shape, you will do it more effectively by praising yourself for the efforts you make to eat healthily and increase your exercise. Train your brain to stop thinking those thoughts. You can use conditioning techniques to train your brain to avoid unhelpful thoughts in the same way you might train a child not to do something dangerous. 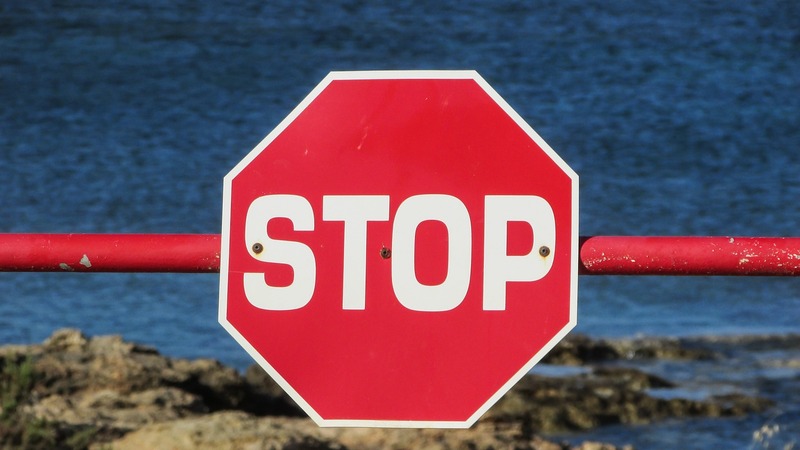 When the unhelpful thought enters your mind, yell “STOP” either verbally or mentally. Pair thoughts of smoking with pictures you have seen of seriously ill people. For some conditions, professionals recommend keeping a rubber band around your wrist and snapping it to remind you not to think that thought. This kind of conditioning probably works better for helping you not do things that may seem enjoyable in the moment but have long-term negative consequences. In using conditioning techniques be careful to avoid behaviors that might be harmful or addicting such as cutting or other nonsuicidal self-injury. Coupling these self-conditioning methods with some of the other techniques above can train your brain to automatically shift from an unhelpful thought to a positive, helpful thought. Which of these thought-changing methods do you think would help you?